AsiaSat-8 is a commercial communications satellite built by Space Systems/Loral for operation by the Asia Satellite Telecommunications Company based in Hong Kong. The satellite follows seven AsiaSat spacecraft that were launched beginning in 1990 to provide communication services to about 50 countries in the Asia-Pacific Region including radio & television, broadband data services and telecommunications. The spacecraft is based on SS/L’s LS-1300LL satellite bus that can accommodate powerful communication payloads. The satellite has a mass of around five metric tons and features two solar arrays each with four panels for power generation of more than 10kW. The satellite uses a chemical propulsion system for apogee maneuvers and stationkeeping in Geostationary Orbit. Three-axis stabilization and navigation is accomplished by state of the art navigation sensors and reaction wheels. AsiaSat-8 hosts a communications payload of 24 Ku-Band transponders and one Ka-Band terminal for a total payload power of 8,500 Watts. The Ku-Band transponders operate at a bandwidth of 54 MHz and a TWTA power of 210 Watts. The Ku-Band system is used to generate four coverage beams – a China beam, India beam, Middle East beam and a South East Asia Beam. The Ku-payload allows for inter-beam switching to add flexibility. A single Ka-Band beam is available for regional coverage. The satellite will be co-located with the AsiaSat-7 spacecraft at 105.5 degrees East in Geostationary Orbit to increase coverage from this important location. 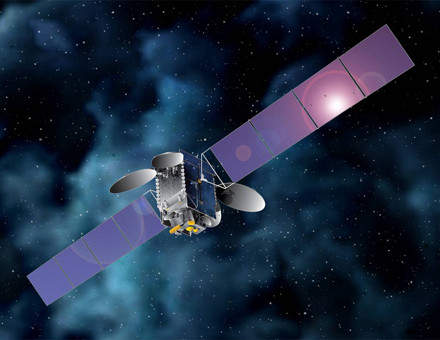 AsiaSat-8 will provide Direct-To-Home television services, private networking services and broadband services. The satellite will operate for at least 15 years.